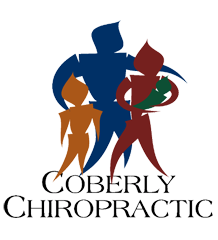 The Wellness Continuum – Coberly Chiropractic, Inc. When it comes to the status of our health most people tend to think more in black and white. I’m either healthy or I’m not. I feel good or I don’t. People also tend to gauge their health by how they feel. However, life is dynamic and always changing and so is the level of our health whether we are consciously aware of it or not. Most of us were born to be healthy. We live our childhood, teenage, and young adult years feeling like we’re invincible. We think we can eat whatever we want and do whatever we want with our bodies and be just fine. We think this until one day reality strikes. We have an injury. We notice we don’t bounce back as quickly as we used to. We don’t have the energy we once had. You see, health and wellness exists on a continuum, meaning it is constantly shifting. Imagine a line with an arrow at each end. This line represents this constantly changing nature. The right end of this line represents optimal health, 100% life expression. The left side of this line represents symptoms, sickness and disease. What determines where we are on this continuum is our lifestyle and the different physical, chemical, and emotional stresses in our life. Physical stresses are what we do with our body. Poor posture and injury are examples of negative physical stresses. Exercise is a positive stress on the body. Emotional stresses come in many forms, such as finances and relationship problems. Chemical stresses are from what we put into our body in the form of what we eat, drink, breathe, absorb or inject. You can think of theses stresses as traumas, thoughts, and toxins. How we manage all these stresses will determine where we fall on the wellness continuum. For a good part of our lives we fall somewhere in the middle in a false comfort zone, where we don’t really have any symptoms to alert us that our health is in danger. Our exercise and good nutrition are sporadic and inconsistent, but we feel okay. However, as the negative effects of traumas, thoughts and toxins build up we take gradual steps to the left moving towards symptoms, sickness, and disease. The goal here is not to be perfect but to make the sum total of your lifestyle stresses more positive so that you are moving to the right towards wellness and optimal health. Start today by assessing yourself. Are you exercising and doing something physical every day? Are you eating healthy and drinking plenty of water? Are you getting enough sleep each night? Are you maintaining healthy relationships with friends, family, and yourself? Are you taking medication for lifestyle related diseases, such as high blood pressure, high cholesterol, diabetes, and so forth? Once you have an idea of where you’re at, start making small changes that move you up that continuum to better health and vitality. If you need help, consult the right professional. Go to your local gym and see a trainer; educate yourself or see a nutritionist to learn about the latest information in regards to healthy eating, and see your chiropractor to evaluate how your lifestyle stresses are affecting your ability to move up the wellness continuum. Remember, you don’t have to change everything at once. Small changes made over a long period of time result in big changes in the end! Until next time, live well!